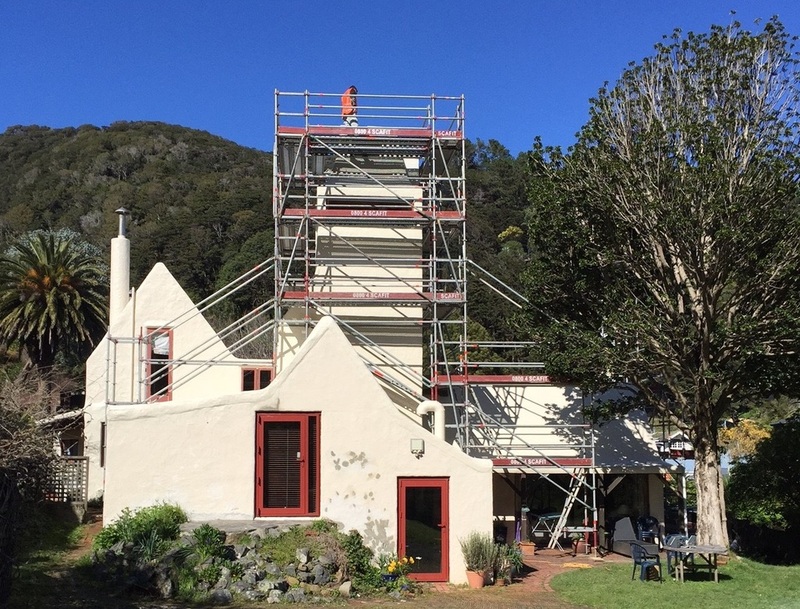 An architecturally renowned home in the seaside suburb of Days Bay recently underwent repair and paint works. Scafit was engaged to provide access and edge protection as part of these works. Designed by Sir Ian Athfield, one of New Zealand's most celebrated architects the house includes a tower with a shower room and meditation room. 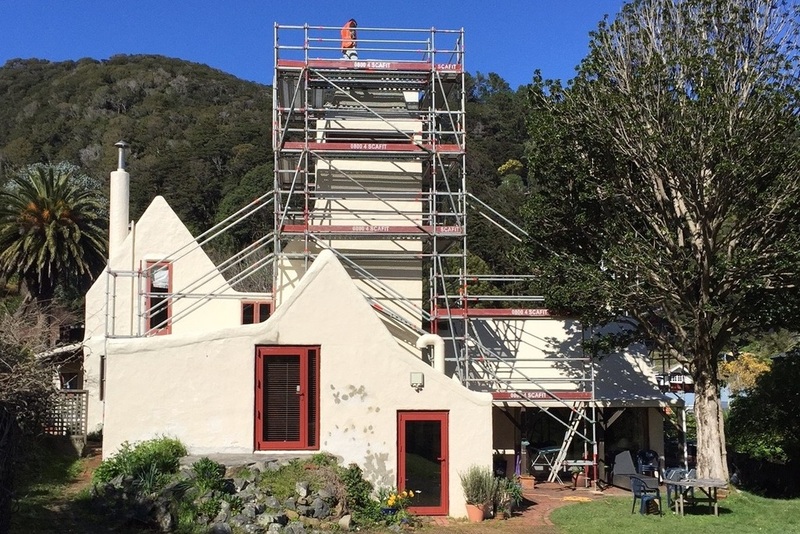 The scaffold was partially built off the lower roof and featured spectacular views of Wellington Harbour.